On this day, in 1673, Molière premiered his final play “The Imaginary Invalid”, and the doodle celebrates his most memorable scenes from The Imaginary Invalid and his other important plays like School for Wives, Don Juan, and The Miser. Surrendering himself completely to the theatre, Molière’s influence was so much that the French language is referred to as the "language of Molière." 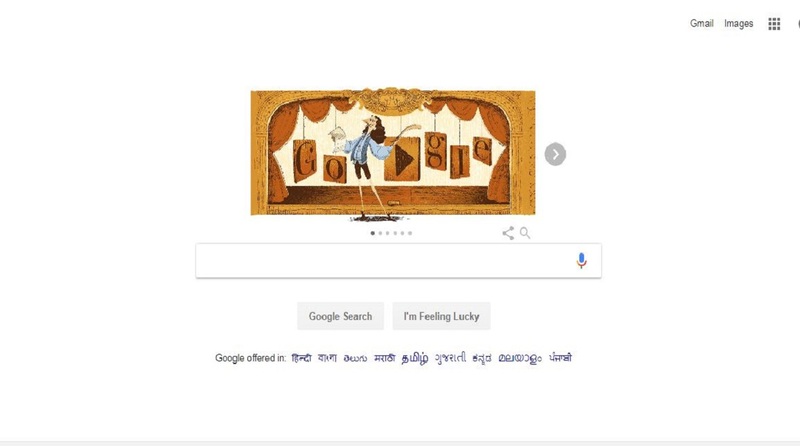 Google is celebrating the works and life of the French playwright Jean-Baptiste Poquelin, more famously known by his stage name, Molière, with a doodle. A leading French writer, actor, stage director, Molière is one of the most distinctive artists of French theatre. Molière was born in Paris to a prosperous family. He lost his mother when he was 10 and his father was one of the appointed furnishers of the royal household. While his father hoped for him to take up the royal duties but Molière decided to dedicate himself to the theatre and at the age of 21, founded the Illustre Théâtre with actress Madeleine Béjart. However, he became bankrupt and after a stint in prison, he left Paris and toured the provinces and honed his skills for about 12 years. After his return, he played in front of Louis XIV and for the rest of his life, he reached the top of his fame with plays like Tartuffe, The School for Wives and The Imaginary Invalid among others. Tartuffe, the play that depicted the hypocrisy of the upper class was banned. The ban was lifted after a few years and was later regarded as a masterpiece. Molière collapsed on stage while he was performing his play, “The Imaginary Invalid”. He died a few hours later and was buried in a part of the cemetery that was reserved for unbaptised infants.